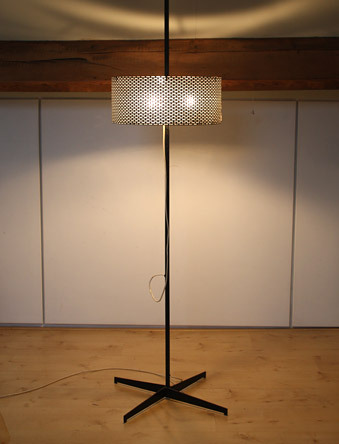 A very rare lamp designed by John and Sylvia Reid in 1956 for Rotaflex Lighting Ltd, London. 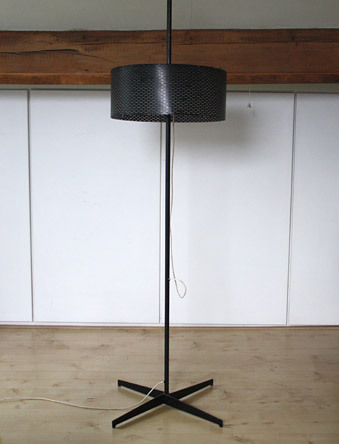 Perforated metal shade on a square section steel stand with brass fittings. 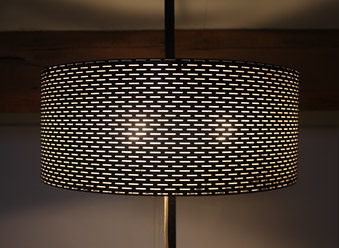 The shade gives off a wonderful light and the height can be adjusted. Documented in 'Austerity to Affluence, British Art and Design 1945-1962'.